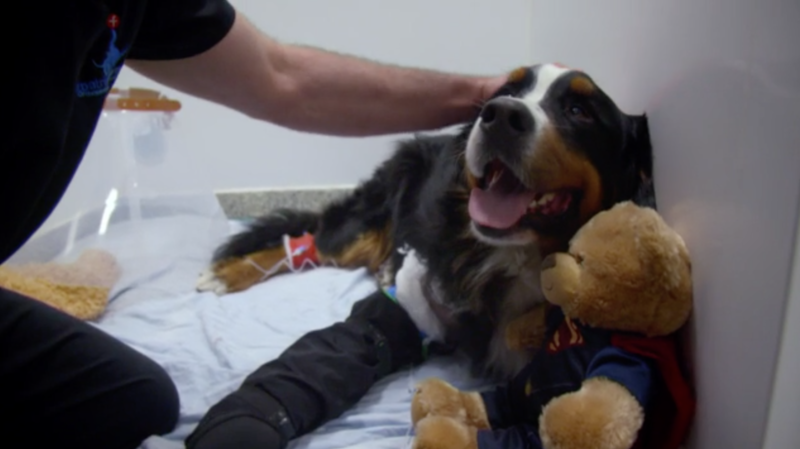 Gaie brings in her four-year-old Bernese Mountain Dog, Harvey to see Noel, hoping that he can treat a rare cyst in his elbow. 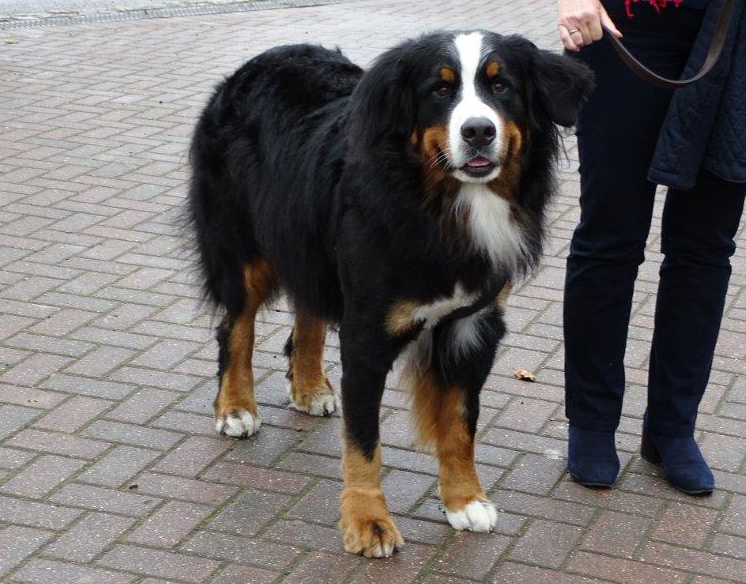 Normally a very excitable dog, Gaie has seen a marked change in his behaviour and believes he’s in a lot of pain. Harvey has played a central role in helping Gaie’s daughter Beth through illness and is an incredibly valuable member of the family. Gaie is anxious about leaving Harvey at Fitzpatricks without his favourite teddy bear, but Noel comes up with a solution to keep him happy during his stay at the practice. The family face a nervous wait to see if Noel can pull off a very challenging operation to remove the cyst, but there is the lasting concern that it will grow back again. 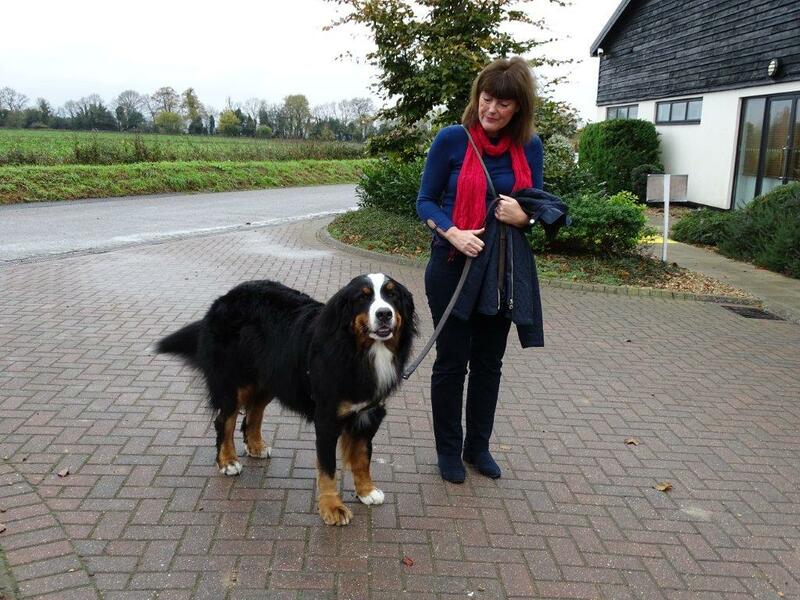 Harvey is like a fifth child to Gaynor. He came to the family when her older daughter was very poorly, which meant she had to be off school. So with love being the best therapy, they welcomed Harvey into their family. 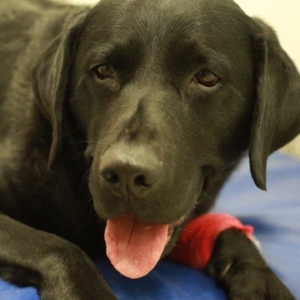 Harvey was first a patient at Fitzpatrick Referrals a number of years ago. 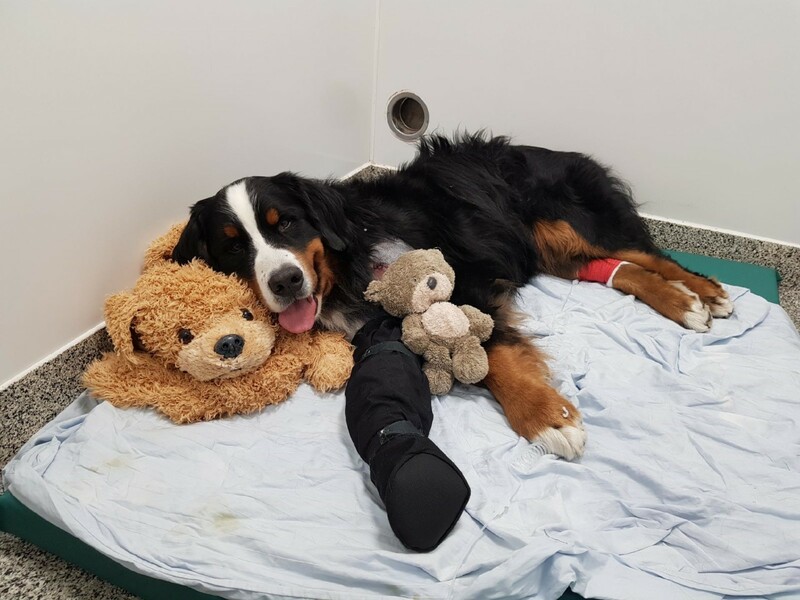 Noel originally saw Harvey to treat a condition affecting the cartilage in his shoulder, but an unusual cyst found in the end Harvey’s humerus nearest his elbow is now causing him problems. 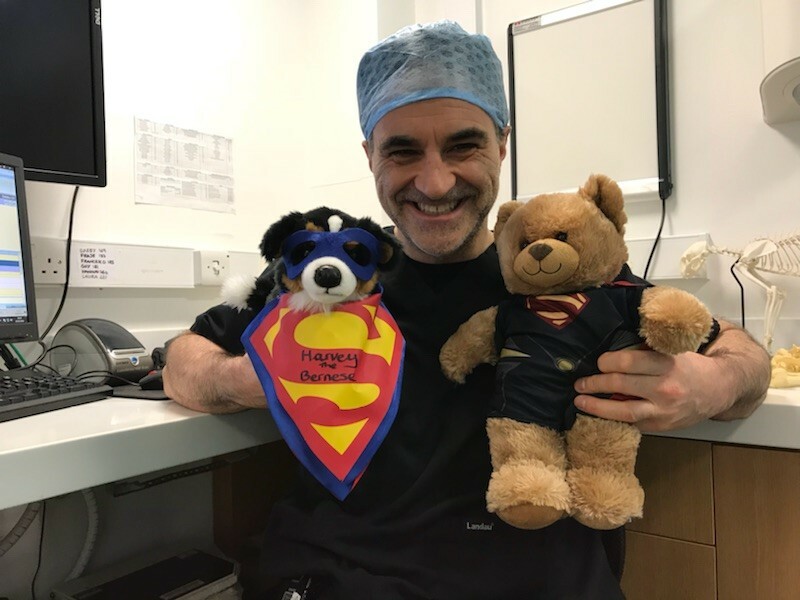 When Gaynor brought Harvey to Fitzpatrick Referrals, Noel explained that he had never seen a cyst quite like it in the location it was. Noel explained that it was going to be a complicated procedure to remove the cyst, and fill the hole with bone marrow. The cyst was causing Harvey pain and making walking difficult, so Gaynor was keen to help her boy get better, hoping it might be for the last time. Harvey was taken to Noel’s Soft Tissue and Oncology hospital to have surgery to treat the rare cyst, using a Fluoroscope. The fluoroscope takes x-ray images whilst Noel is operating, allowing him to see what he was doing inside the bone, in real time. After collecting the bone marrow from both of Harvey’s shoulders, Noel moved on to removing the cyst from the humerus. He inserted a metal pin placed into Harvey’s humerus as a guide to help him locate the cyst using the fluoroscope. Once he’s sure he’s in the right place, Noel removes the cystic tissue and used a small camera to check that he’s managed to remove it all. Finally, Noel tightly packs the remaining holes with the extracted bone marrow, with the hope that it would solidify in 12 weeks’ time. 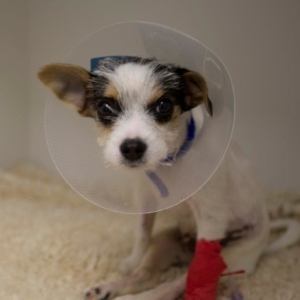 Three days after Harvey’s surgery Gaynor came to Fitzpatricks take him home. 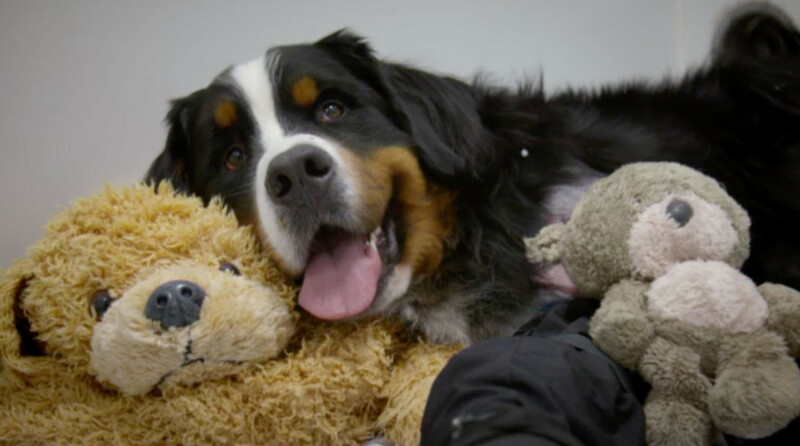 With Harvey’s second major surgery complete Gaynor can only hope that he will never have to go under the surgeon’s knife again! Twelve weeks later, and the family were anxious to hear whether Harvey had made the right progress. The CT imaging revealed what they had waited and worked for - he was making amazing progress and was signed off to pick up his life where he left it. Back at home, Harvey is now fully recovered, enjoying long family walks and playing with friends and running and swimming as he deserves to, as well as cuddles on the sofa at the end of the day.